Luis Enrique’s music and song brings together Indigenous Central American, Afro-descendent, and Caribbean traditions in a way that speaks to the struggle for social and economic justice throughout the Americas. 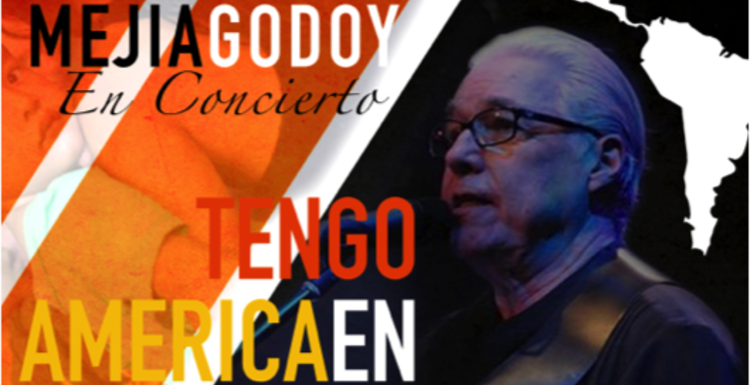 The November performance will bring the profoundly humanistic message of Godoy to the US at a time of growing economic inequality and in the midst of the most sustained attack on Latin American immigrant rights to be witnessed in recent U.S. history. Luis Enrique has recorded 22 albums both as soloist and with the group Mancotal and Tierra Fertil. 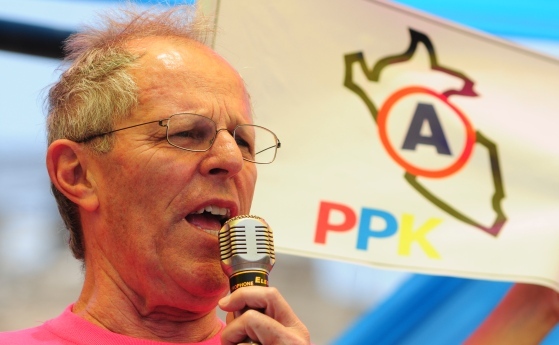 He has composed and recorded, together with his brother Carlos, numerous songs, including: Guitarra Armada (1979), la Cantata al General Sandino (1981) and Canto Epico al FSLN. They have also put the lyrics of many Latin American poets to music, giving them yet another life among the pueblo. The Godoy brothers have received a number of prestigious awards for their musical accomplishments, including the Orden Cultural Rubén Darío (2006). Luis Enrique’s songs are immediately relevant to Central American immigrants living in the U.S. Many of those who came in the late 1970’s and throughout the 80’s will remember the trials of civil war in their homelands and how the songs of the Godoy brothers conveyed solidarity and hope. Godoy’s music will likely also touch on more recent arrivals from the “Northern Triangle,” many of them children and youth seeking to reunite with their families and/or to escape from gang violence and economic insecurity. Luis Enrique, and his brother Carlos, have been bringing hope and inspiration to a broad audience for more than 45 years because they address not only socio-economic issues, but love and nostalgia for the homeland, its customs, sights, tastes, and smells. Of course it is not Godoys’ alone who speak through their music, but the voice of popular aspirations for a better life. Luis Enrique and Carlos’s message is but part of a beautiful gift for those who recognize our common humanity. A brief sampling of the Godoys’ lyrics shows their close association with lived experience. In the aftermath of the Sandinista revolution in Nicaragua (1979), Luis Enrique’s sang Josefana, celebrates the wake of the 1980 literacy campaign that drew thousands of students to the country side to help in the battle to eliminate illiteracy. The Sandinista victory also inspired revolutionary Salvadorans who sought to challenge oppressive oligarchic forces in order to bring about real structural change in El Salvador. In Soy de un pueblo sencillo, Godoy relates the struggle for liberation of the people of Nicaragua to all who seek justice. This volcano was certainly irrupting in the rebellion in El Salvador in the late seventies and the 1980’s, as it had in 1932. By singing songs like La Sombra Azul and Con Farabundo y Romero during the civil war in El Salvador, Luis Enrique, along with Salvadoran popular musicians and singers, gave inspiration to the Salvadoran resistance. Popular music had the power of inspiring the hope that just as Nicaragua had been able to throw off dictatorship, so too could El Salvador. Pueda cantar a la paz. Es de América Latina.” (Con Farabundo y Romero). While Luis Enrique and Carlos address the big issues of the liberation of oppressed peoples, they also pay attention to the more sectorial struggles of women’s rights, AIDS prevention, the rights of Indigenous peoples, the poor and the working class. Some of the Godoys’ work also contain playful themes and folklore that reflects everyday life in Central America and the Caribbean. Perhaps the songs that evoke nostalgia will have a special impact for the transnational Central Americans living in the exterior. In Nicaragua Nicaraguita and Volvere a mi pueblo, one hears the love of country and the desire to return. The brothers Godoy stand among a revered tradition of Latin American popular musicians such as Victor Jara, Ali Primera, and Mercedes Sosa who have given voice to those seeking to build a new world. We can expect that on November 14, in Silver Spring, Luis Enrique will once again inspire and give hope to those who believe that all human beings ought to be able to live and develop their full potential. For those interested in attending to this concert, the area is easily accessible by metro. The closest metro stop is Silver Spring. Full disclosure: the author is a member of RENASE.